The loan package from DFCC will offer up to 20-year home loans with a grace period of five years, together with concessions for early settlements. The DFCC-John Keells partnership enables home buyers to lock in their apartment purchases with a 10 percent down payment and spread their remaining equity contributions over the construction period. The DFCC home loan package can be obtained through 138 branches operating across the island. Sector specialists will guide and assist customers in processing and releasing home loans. “Lack of access to affordable mortgages is a key stumbling block for urban professionals who want to buy quality housing in convenient locations in the city. As a result, many people spend 2-3 hours or more a day commuting,” said Property Group Sector Head at John Keells Holdings, Nayana Mawilmada. “We want to change that. DFCC has worked with us to go an extra mile in developing an industry-leading mortgage product specifically for our customers. The partnership between John Keells Properties and DFCC is a reflection of our shared vision to enable aspiring home owners to purchase their dream home,” he said. Tri-Zen, the latest development by John Keells Properties is aimed at meeting the demand for high quality urban housing in the city, eliminating the need for painful commutes and introducing residents to a whole new level of convenience and lifestyle. 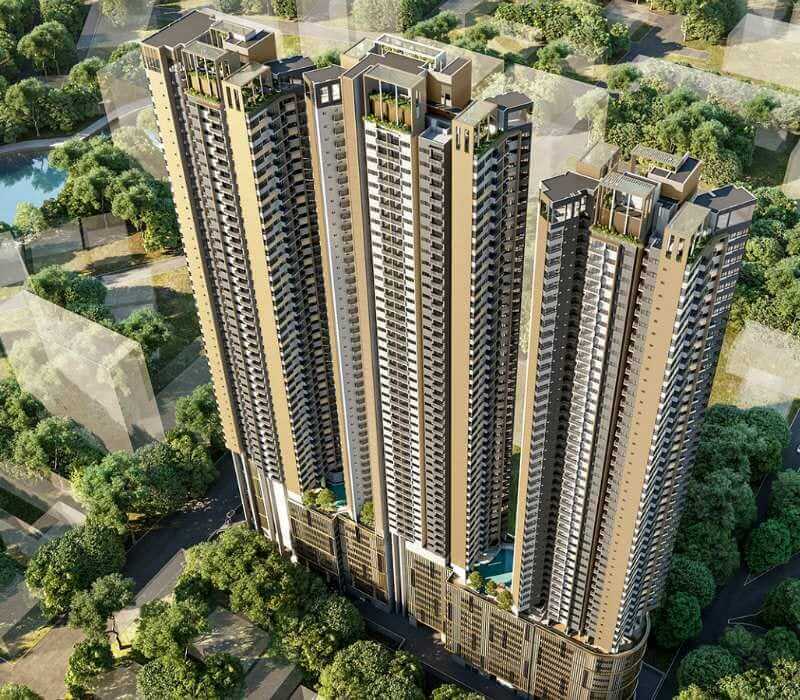 The 53-storey landmark project is a joint venture between John Keells Holdings and Indra Traders (Pvt) Ltd. The ‘smart living spaces’ apartment complex is due for completion in 2023.